We love to showcase our wonderfully talented students and recognize that a lifelong appreciation of the arts is an important trait of global citizenship. The Cultural Engagement Program cultivates creativity throughout our community, both on- and off-campus. 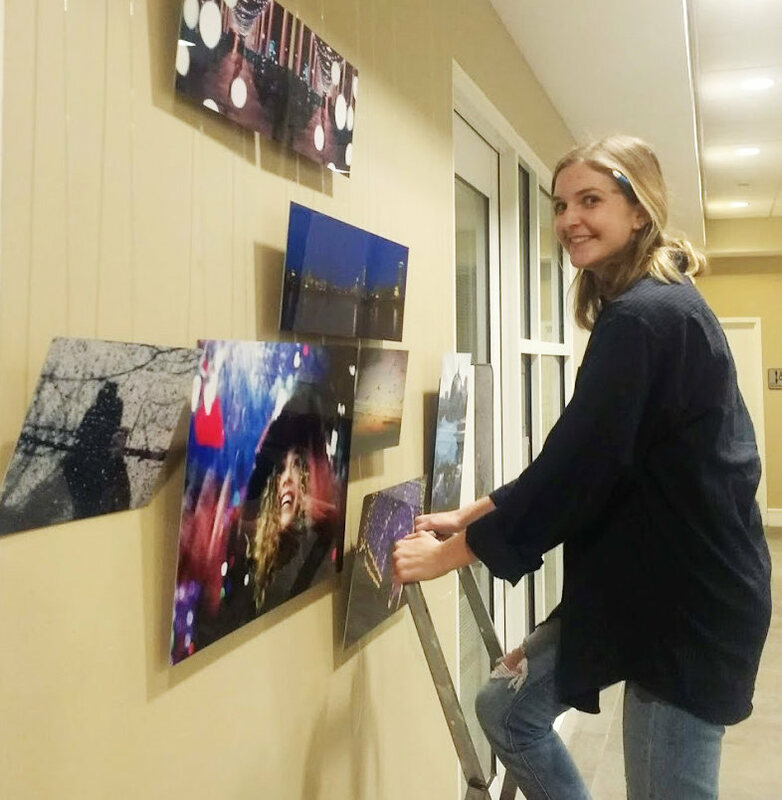 The Cultural Engagement Program aims to inspire a creative spirit within the Honors College by providing students with an opportunity to explore their own creative passions and also the greater cultural community. Students are welcomed through the sometimes intimidating doors of local arts venues and encouraged to engage deeply-- through attendance, reflection and participation in the creative process. Throughout the semester we offer free tickets to cutural events on campus and around town. Read the weekly student newsletter to claim yours! We also host regular events with an emphasis on exercising creativity, like Bob Ross paint nights, open mic sessions and "Make a Mess to De-Stress" during finals. The Connoisseurs are a group of Honors College students who dive deeper into the arts. We organize group visits to local arts hotspots like the Columbia Museum of Art and the Nickeldodeon Theater, and gather for coffee and discussion. Sophomore members are given free membership to a local arts organization. All members enjoy early bird notice about free tickets to cultural events and access to local arts professionals. Open to all majors and years. Join us! Our next exhibition is scheduled for Spring 2020. The application process and jurors will be announced in September. All Honors College students regardless of major are invited to submit their best work for consideration. If you have a project that needs additional funding, we encourage you to consider applying for an Exploration or Magellan grant! Junior Katie Aretakis has always loved art. As student curator of the SCHC’s Cultural Engagement Program, she has helped other students realize their own love for art.